The Toyota C-HR is a gorgeous sports utility vehicle that will make the right impression on your passengers. You’ll have dozens of features to play around with to make sure that you’re completely comfortable every time you get behind the wheel. 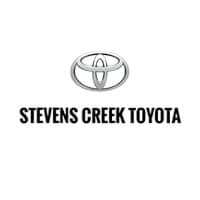 Discover what makes this sports utility vehicle so special and visit your local Stevens Creek Toyota dealership today. The Toyota C-HR comes with a 6-way adjustable seating controls, so you can find the perfect position when you’re sitting behind the wheel for hours on end. This can really take the stress out of a long morning commute. You can position the seat and the headrest in so many different configurations that you’re bound to be comfortable every mile of your trip. It also comes with a dynamic radio that makes searching for the perfect song even easier. You can quickly scan through every station until you hear something you like. The car will even adjust the volume of the song based on how fast you’re going. If you’re traveling at 70 miles per hour or more on the highway, the car will crank up the volume, but if you’re hanging out near a stop sign, the car will limit the volume, so you don’t disturb the other passengers. The car even comes with a built-in trip computer that gives you information about your destination and the route ahead. You can quickly see which turns you need to make and when, so you don’t get lost when you’re exploring a new area or trying to reach a new destination. Just follow the car’s instructions and you’ll be good to go. Driving around the San Jose area is so much easier when you have a Toyota C-HR on your side. Visit your local Stevens Creek Toyota dealership to see the C-HR in person today!